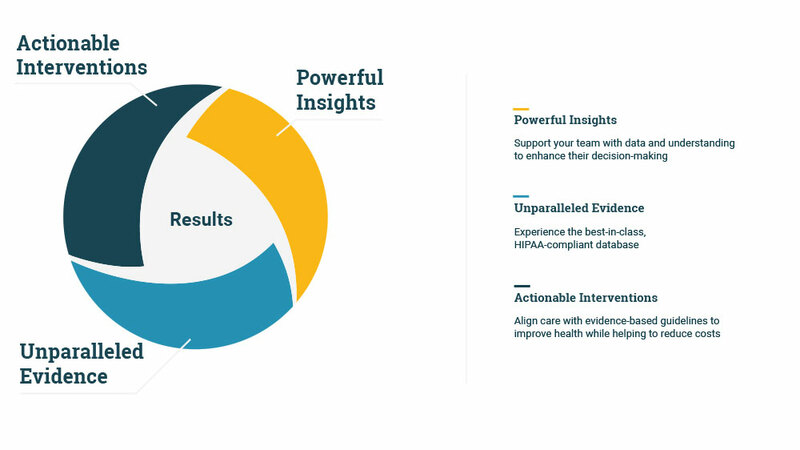 As a leader in healthcare transformation, Premier analyzes quality improvement programs that align care with evidence-based guidelines to promote better quality of care and smarter spending. Drawing from over 30 years of driving organizational transformation, improvement and education, Premier’s goal is to share improvement strategies for the treatment of diseases and populations. Assess for change by selecting a therapeutic area, defining the research question and recruiting the sites and personnel. Randomized clinical trials study the effect of an intervention to improve treatment for a specific disease state. Test ideas to improve care, build sustainable solutions and use methodology to observe change. Study designs, such as pre and post evaluations, to help describe change seen within an intervention. Our team consists of intervention specialists, recruitment & learning and change specialists with backgrounds in quality improvement, population health management, system theory, implementation science, biomedical research and evidence-based medicine. Understand educational needs through the creation of a curriculum and materials to distribute through the Premier channel. These meaningful educational materials will assist care teams with understanding of current best practices. The emergence of biosimilars over the last few years has introduced a new competitive specialty pharmaceuticals market to combat the rising price tags on expensive biologics.